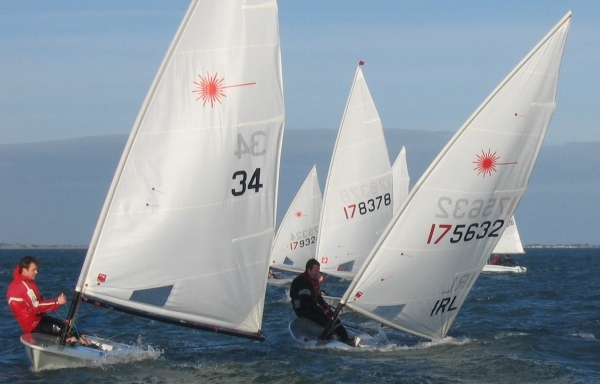 A beautiful day in Dublin Bay yesterday and the DMYC Frostbite race was held outside the harbour. 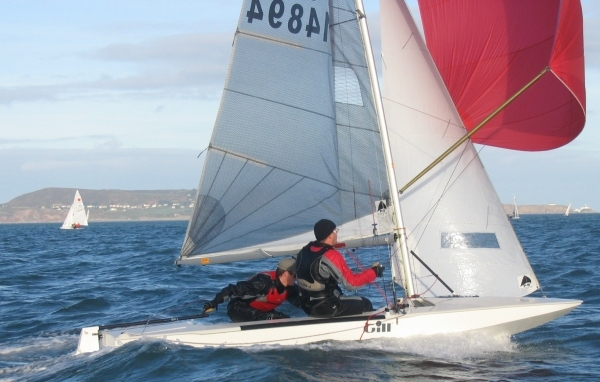 Forecast called for 10 – 12 knots of breeze, but, as the Lasers approached the windward mark on the first of their five laps, a big, bad, black cloud arrived with a few minutes of 25 knots. Much swimming followed. Here Noel and Seamus, whose Fireball started five minutes after the Lasers, set off on the first reach. I had to pull a couple of people out of the water and tow a damaged Laser home. Brilliant day on the water.